When you are shopping for replacement windows, it is easy to feel overwhelmed by the sheer number of options available. The good news is that switching out your old products for new ones gives you a great opportunity to significantly improve your homes curb appeal. In many instances, you have some leeway when it comes to the styles of windows that you choose to install. Each type of construction has its own specific purposes and advantages, so it is a good idea to learn a little more about them before committing to a new windows installation in Naperville. The Door Store offers a quick and easy illustrated guide of the most common window styles that are typically available for residential customers desiring window replacement in Naperville, IL. The double-hung version, one of the more classic varieties, includes benefits such as weather-stripping and double glazing to increase their energy efficiency as well as tilted or removable sasses for easier cleaning. Slider windows, a product that opens sideways, are both budget-friendly and versatile in that they can be installed into a space that normally would accommodate two windows. 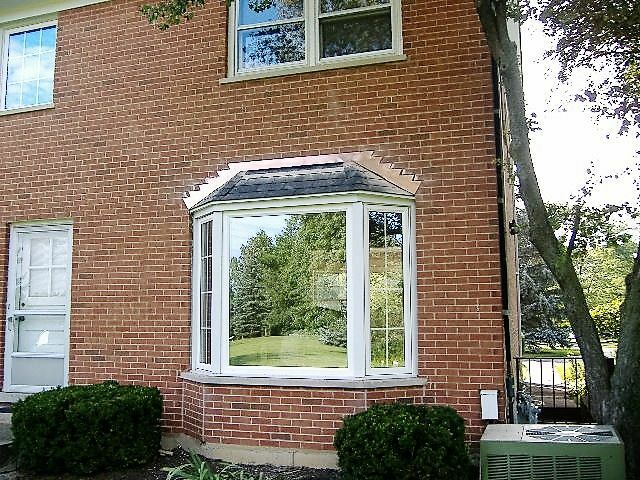 For your windows installation in Naperville you may want to consider casement windows: they sport a vertical and elegant design, seal tightly and open outward to a full 90-degree angle. Finally, both bay or bow styles maximize the amount of incoming light and are a gorgeous option for a living room or sitting room in the front of your home. Most windows are constructed to deliver on both functionality and style. You have many varieties from which you can select. Because of this, you are able to craft a distinct mix of products that work well for your home and increase its curb appeal. When you are looking for a new windows installation in Naperville, it is important use several factors to evaluate potential choices, such as measurements of energy efficiency, construction and aesthetic qualities.